Refractometers are used to measure Brix in various juices. A wide variety of food and beverage products rely on sweetness as a standard of consistency and quality. The unit of measurement to determine the concentration of sugar in food and beverage is °Brix (degrees Brix). Commercial processors of juices, wine, beer, soft drinks, tomato products, dairy, maple syrup, honey, jams and jellies implement the use of some form of refractometry to determine °Brix in their products. 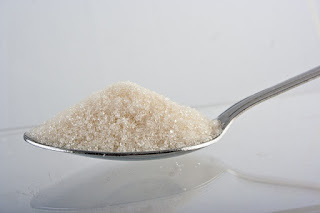 °Brix (symbol °Bx) is the percentage of sugar dissolved in the subject product. One degree Brix equals 1 gram of sucrose in 100 grams of solution. °Bx is a degree scale from 1-100. A solution that is 15°Bx is 15 percent sucrose by weight. Measuring °Bx is based on the index of refraction or the density of the process media at specific reference temperatures of 20°C. Inline industrial refractometer with control electronics. One type of instrument used to measure °Bx is called a refractometer. Smaller food and beverage producers use hand-held refractometers to determine °Brix in product batches. Large scale producers, with continuous processing or high volume batches, use highly accurate, rugged, inline industrial refractometers which are installed on the process piping and become part of their overall control scheme. All refractometers use the refractive index (RI) of the food/beverage concentration as the measurement method to determine °Bx. The refractive index (or index of refraction) of a material is a dimensionless number that describes how fast light propagates through the material, or in other words, how much the path of light is bent, or refracted, when entering a material. Refractometers often require some type of correction or linearization based upon the substance they are measuring. To account for other undissolved solids, organic acids or ethanol in the process media, specialized curves must be used. 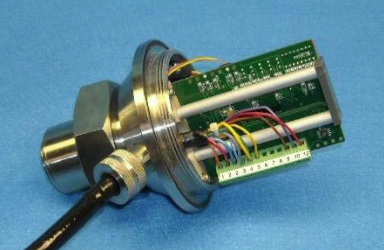 Inline process refractometers include these custom curves in the microprocessor programming, and can be selected through the refractometers user interface for varying product runs. For more information about the measurement and control of °Brix using inline refractometers, contact Electron Machine Corporation. Fruit juice concentrate provides producers easier transport of product and longer storage life. 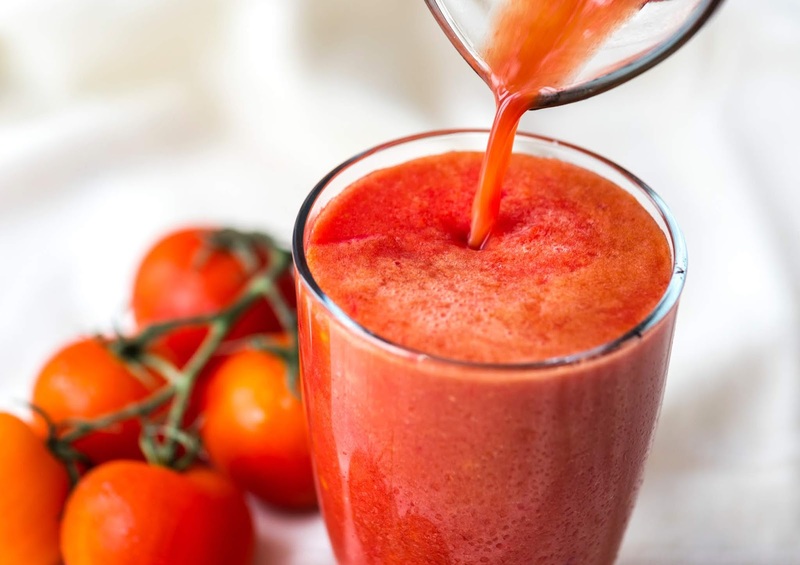 Fruit juice concentrate production starts with a dilute feed stock juice and processes it into a uniform and consistent concentrated form through the removal of water. Water is removed through an evaporative process that involves specialized equipment designed uniquely for the concentration process. Almost every commercially harvested fruit can be juiced and concentrated. Fruit juice extraction is unique to the shape, size, and nature of the fruit, but once the juice is extracted it is purified and stored in primary holding tanks prior to being delivered to an evaporator. Upon entering the evaporator, the juice concentration varies depending on a number of natural factors. The goal of the concentration process is to remove this variability and output a uniform and consistent juice concentrate. Throughout the fruit juice concentration process, solid components of the original juice remain and can be quantified as a percent of juice volume. Refractometers are instruments that measure the refractive index, which very simply put, indicates how much a light beam is "bent" as the light passes through the fruit juice. The light bending is proportional to the solids concentrate. Sugars are the major soluble solids in fruit juice, along with other soluble materials including organic and amino acids, soluble pectins, etc. In larger scale juice production facilities, soluble solids concentration (SSC%, degrees Brix) are determined by using in-line process refractometers at strategic points in the process to measure solids concentration, as well as to evaluate equipment performance and product quality. 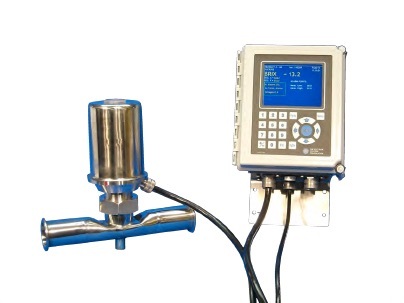 Output signals from the refractometers serve as inputs to the command and control system for the evaporators, allowing feed rate to closely match evaporation rate and make most efficient use of the energy consuming equipment. For more information about inline process refractometers role in fruit and vegetable juice production, contact Electron Machine Corporation by calling 352-669-3101 of visit their web site at https://electronmachine.com. Inline, process refractometer for beverage production. Just as weight is expressed in pounds, the level of soluble solids in a solution is measured in degrees Brix (symbol °Bx). The Brix scale is based on a solution of pure sucrose diluted with water. Adolf Brix first developed the Brix scale in the 1800s. For example, a 100 gram solution with a Brix 50 reading contains 50 grams of sugar (and other dissolved solids) and 50 grams of water. Fruit juices, wine, nectars, and other beverages all contain soluble solids. Total Soluble Solids (TSS) refers to the total amount of soluble constituents of the juice, wine or other beverage. These are mainly sugars, with smaller amounts of amino acids, pectin, and organic acids. 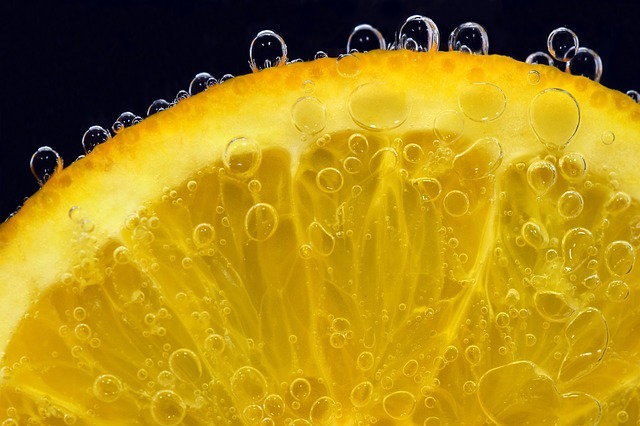 For example, approximately 85% of the total soluble solids of citrus fruit are sugars. Because sugar is the most abundant soluble solid, the Brix scale is used by the beverage industry in determining the sucrose equivalent of soluble solids in their products. The term "Brix" or "degrees Brix" is used interchangeably with % sucrose or % soluble solids by weight. Refractometers are instruments that determine soluble solid concentration by evaluating the solution's refractive index. Changes in direction of a light beam passing through the solution correlate to the amount of dissolved solids in the solution. Basically, the higher the level of soluble solids in the solution, the greater the bending of the light beam. 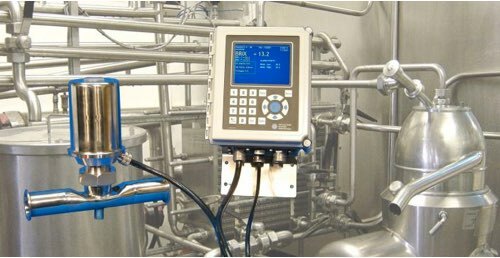 In large scale beverage plants, inline process refractometers are used to control quality and consistency by continuous monitoring of the soluble solid concentration. 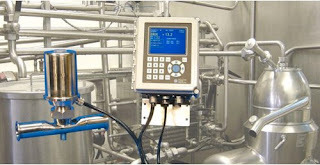 For more information about measuring TSS and/or Brix in a commercial beverage production facility, contact Electron Machine by visiting https://www.electronmachine.com or calling 352-669-3101. Refractometers commonly used to detect sugar levels and properties of jams juices, beverages, dairy products and much more. Electron Machine Corporation developed the first in-line process refractometer more than 50 years ago when orange juice was first concentrated. Since that time, their refractometers have been successfully applied on many more applications including the production of sucrose, fructose, dextrose, soft drinks, fruit juices, dairy, apple sauce, jams, jellies, beer, wine, coffee, tea, vegetable oils, tomato paste, ice cream and honey. With an extremely durable Sapphire prism as its foundation, the Electron Machine MPR E-Scan combines accurate measurements with ruggedized components in the sensing head combining for years of of dependable and accurate service in harsh food production environments. in commercial food and beverage processing. All commercial food brands must assure a level of quality their users have grown to expect. A change in their product's quality can trigger a change in the customer's buying habits. The ability to provide consistent quality and taste is key to happy customers and continued sales. For producers of many commercial food products, such as wine, fruit juice, jams, and carbonated beverages, a critical way to control quality is by measuring "Brix". Brix is a unit of measurement used to to establish the concentration of sucrose and other sugars (as well as other dissolved solids) in aqueous solutions. When evaluating sweetness, one degree Brix (symbol °Bx) is defined as 1 gram of sucrose in 100 grams of solution, and represents the strength of the solution as percentage by mass. Inline refractometers provide commercial food, juice and wine producers critical information about the make-up of their product. Many commercial food processing plants use refractometers to blend their products to consistent Brix level, thus assuring consistency. Because the dissolution of sucrose and other sugars in a solution changes the solution’s refractive index, measuring this change can be used reliably to measure consistency and quality. A refractometer works by shining an LED light source from a range of angles, through a product sample, onto a prism surface. By measuring the difference in the reflection and refraction of the light source, a critical angle can be determined and the refractive index can be accurately calculated. This measurement and calculation can be done accurately, repeatably, and with speed, so inline refractometers have proven themselves reliable instruments for the measurement of Brix in all food processing applications. Soft drinks, fruit juices, dairy. Apple sauces, jams and jellies. Beer wine, coffee, and tea. For any questions about the use of refractometry in food and beverage processing, contact Electron Machine Company at 352-669-3101 or visit http://www.electronmachine.com. Refractometry is a widely employed analytical technique used to indirectly measure dissolved solids content of subject liquids. The process employs a refractometer, a device or instrument, to determine the refractive index for a test sample. The measurement is employed throughout science and industry to assess a material's composition or purity. The refractive index of a substance is dependent, in part, upon temperature and the wavelength of light used in the measurement. Common applications include Brix testing for sucrose level, along with others in the beverage, pulp and paper, chemical, flavor, and fragrance industries. Refractometry is used as a quality control measurement, to assure uniformity among product batches. Manual refractometers have been available for many years and require human observation and interpretation of a scale reading to obtain a refractive index. Automatic, as well as in-line units are available today that provide uniform accuracy and faster sample processing. 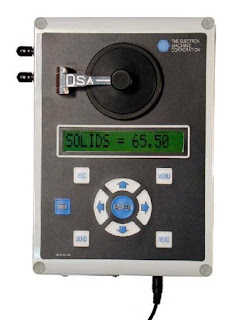 The DSA E-Scan, manufactured by Electron Machine, is an automatic, bench-top critical angle refractometer with a digital readout and temperature-controlled sample chamber. Its compact size and rugged design permit operation in the field and in areas with limited space. The unit provides fast and accurate refractive index measurements of sample liquids.